Still waiting for some luck to rub off on you in the new year? 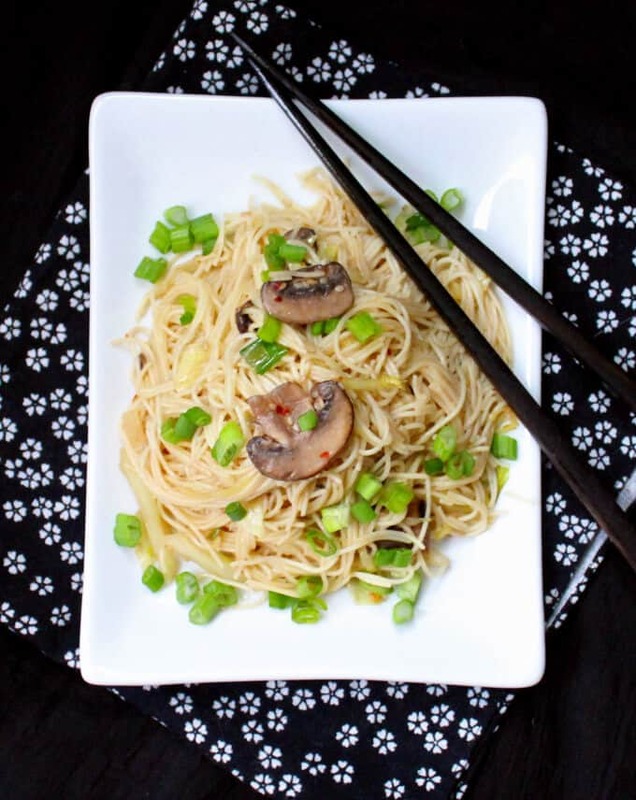 Eat your way to it with these easy but delicious Chinese Longevity Noodles with Mushroom and Ginger. Only, don’t blame me if you live to be a hundred. 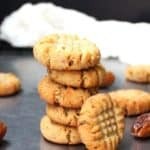 🙂 A nut-free, vegan recipe. The other day, Jay asked me what he could do to ensure he lives to be a hundred. By now I’ve given up trying to figure out why a nine-year-old comes up with strange questions like these, so I simply told him that if he continued to eat healthy vegan food, the way he now does, who knows, he could very well live to see a hundred. Then my doctor, whose views on veganism are perhaps weirder than Jay’s views on longevity are, asked me, only half-jokingly, during my annual checkup, if I wanted to live forever. I had been arguing with him about prescription medications and the side effects they inevitably bring (he, like most physicians, is very generous with his prescription pad even as he shuns everything I tell him about preventing or managing health with a vegan diet). Not that I need to go on prescription medications because my numbers, to quote him, are “perfect.” But the rather convoluted conclusion he seemed to be drawing from my words is this: since I am vegan and don’t like the side effects of prescription drugs, I must be trying to live forever. All of this got me to thinking, do I really want to live forever, or even to a hundred? Probably not, although I could change my mind down the line. But what I do want is to wake up each morning feeling good. And thanks to the fact that I eat plants, I do. I also feel really lucky I get to eat all of the delicious, amazing foods I eat. 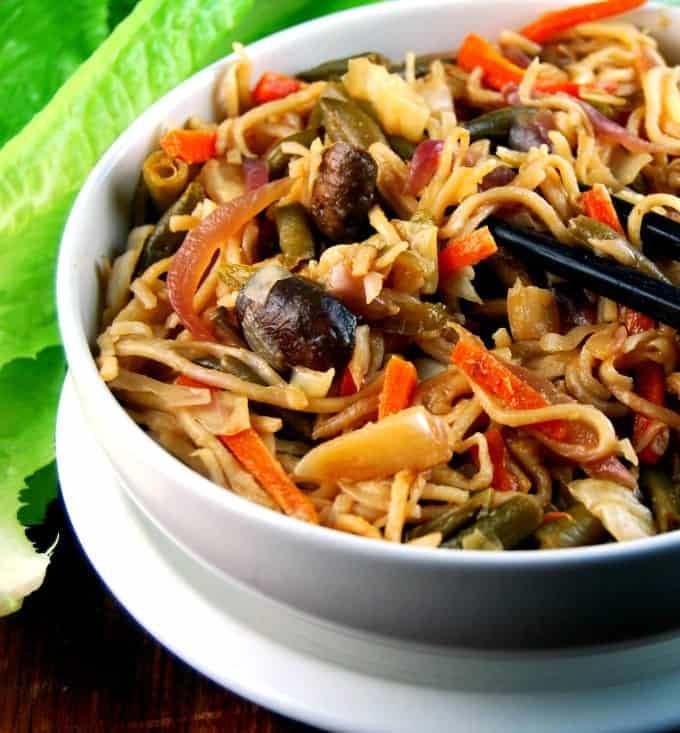 Like these Chinese Longevity Noodles with the health-packed goodness of ginger, mushrooms, and cabbage. In China, these are eaten at celebrations and for the new year which, this year, happens to begin in February. The noodle strands are supposed to remain long and unbroken, so your life is too. 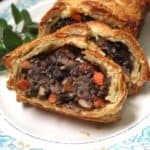 I got some inspiration from a New York Times recipe, although I changed it around quite a bit to make it vegan. Almost everything came out of my pantry, including the angel hair noodles (the resident long-noodle favorite in our home). 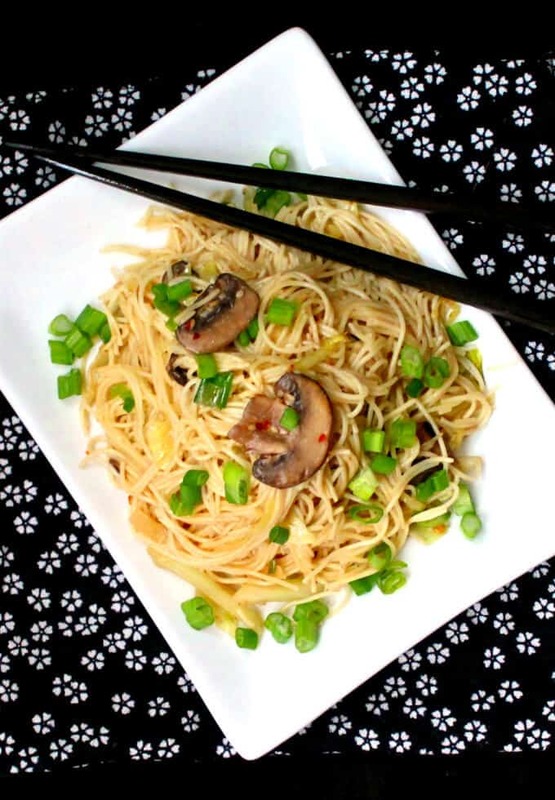 These noodles are incredibly simple to make, but they’re also incredibly delicious. If you have a few basic Chinese seasonings around, like rice vinegar and toasted sesame seed oil, you are good to go. 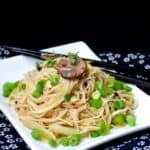 I also add to these noodles an ingredient that is eaten in India during these cold winter months and that fits in perfectly in this recipe: sesame seeds. 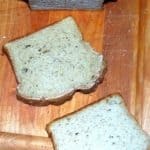 They add crunch and flavor and are quite delicious. Still waiting for some luck to rub off on you in the new year? 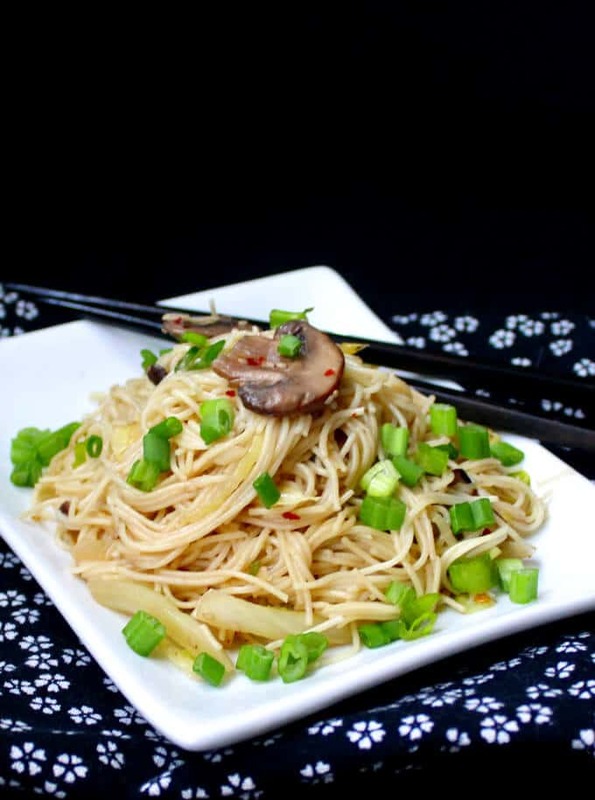 Eat your way to it with these easy but delicious Chinese Longevity Noodles with Mushroom and Ginger. Only, don't blame me if you live to be a hundred. 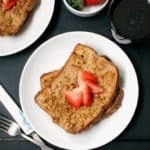 🙂 A nut-free, vegan recipe. 2 tsp vegetable oil, peanut is good if you don't have nut allergies, but any other oil like avocado or even coconut would be fine. Cook the angel hair pasta according to package directions. Drain thoroughly, wash with cold water, and toss with the sesame seed oil. Heat the vegetable oil in a large wok or very large saucepan until very hot. Add the sesame seeds and ginger and stir-fry for 30 seconds. Add the onions and stir-fry another 30 seconds, then add the cabbage and mushrooms and half the scallions. Stir-fry the veggies for a few minutes, until the cabbage and mushroom are tender, but not soggy. Add the red pepper flakes and mix in. Add the tamari or soy sauce and rice vinegar to the wok, stir quickly, and then add the noodles. Stir-fry the noodles, moving them constantly so they heat through and mix with all the veggies and seasonings. Add salt if needed. Garnish with remaining scallions and serve hot. Nutrition info assumes the use of wholegrain angel hair pasta. This is not a comment about the recipe. I just wanted to let you know that I didn’t received this posting in my email. I had this problem once before…. and it is probably an email issue, that I don’t know how to fix…. The first time after you resent the recipe to my email address several after than came through. I don’t always remember to check your blog, so would like to be notified by email. Sorry to make things more complicated…. but could you please resend this one. Just a thought- perhaps the emails are going to your Junk mail? I know that happens to me sometimes.. some email providers automatically send the emails to Junk. Ruth, this email did not go out yesterday– it went out this morning. Did you get it today? Also, like Sabs suggests, check your junk mail, and if you find it there, be sure to mark it as not junk. I check my junk mail… but it is not there. If the email went out this morning, then perhaps there was normal delay…. I did receive it this afternoon. I;ll try to be more patient…. but will check your block from time to time. 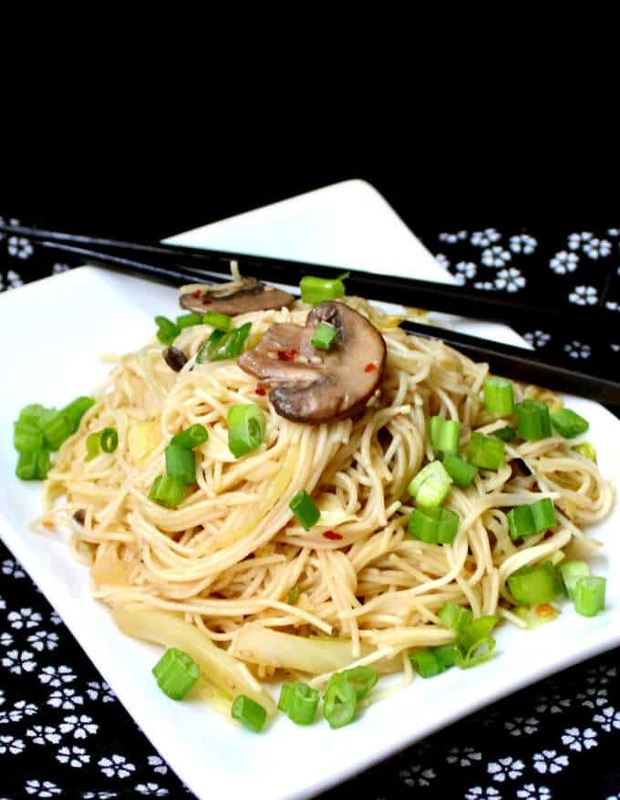 Chinese Longevity Noodles with Ginger and Mushrooms. 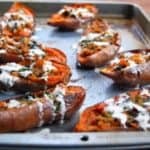 Do you ever publish calories with your recipes? 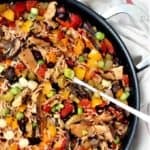 Craig, most of my recipes over the past year or two have nutrition info included. I was a little late posting the info for this, but it’s in there now. I just made this for lunch! I didn’t have cabbage so used Brussels Sprouts and added cashews for a bit of protein. Also used Chinese chili-garlic sauce instead of red pepper flakes. So very good! I love your recipes!!!! Thank you! Christine, how wonderful! So happy you tried them. Thanks for letting me know! 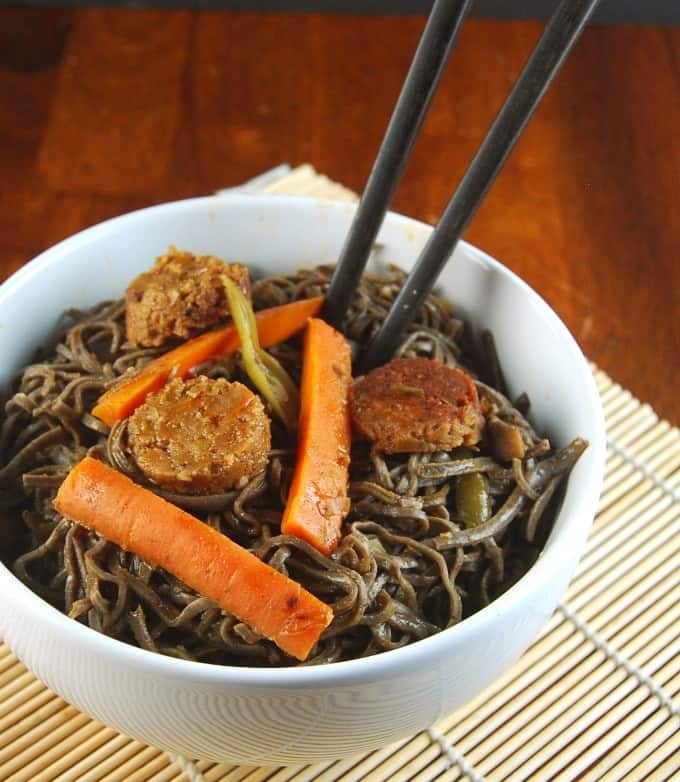 I used buckwheat ramen. I’m in Australia, I and it is currently 41degrees Celsius…. 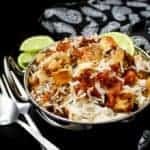 Fabulous recipe. I love that there is no soy or similar…. I Stay away from this because it’s a processed food. I want to live to be at least 120…. Love your recipes coming to my inbox every day. Thank you. Meg, so happy you made these. And I am cheering for you to get to 120! 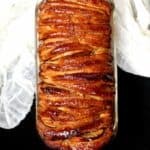 Can the toasted sesame oil be substituted for anything else? I don’t have this oil and have never used it before. Or should I get some and start using it in more recipes? Does it make the flavor of the dish? Have you added some garlic to the recipe? Is the green onion on top additional to a yellow onion? I didn’t see green onion in the ingredients list. Yes, sub with peanut oil or any oil you’d use for a stir-fry. I do love sesame seed oil in Chinese recipes, so I always keep a bottle on hand. 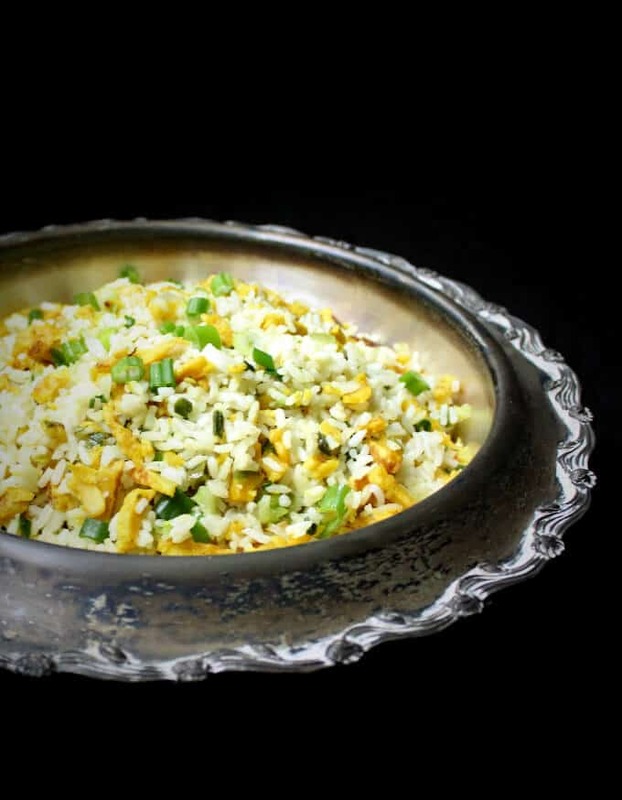 And no, there’s no garlic in this recipe– ginger’s the star here. I don’t always use the green onions, but I did this time, so I’ve added them to the recipe.